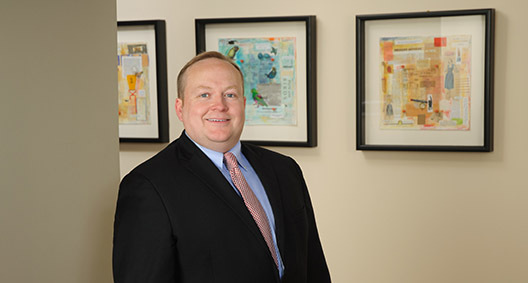 Rob Rozier concentrates his practice in healthcare law, primarily assisting clients with strategic planning, state regulatory issues and clinical research matters. A significant part of Rob's practice consists of aiding hospitals, skilled nursing facilities, assisted living facilities and other healthcare facilities in complying with state Certificate of Need (CON) laws. Rob helps clients obtain CONs by assisting with the CON application process, defending against opposition and providing representation throughout the CON review process and any subsequent appeals process. Rob also assists clients in opposing efforts of competing healthcare facilities to obtain CONs that would negatively impact existing operations. Having overseen the CON program for the state of Georgia and having implemented many of the rules, processes and procedures that apply to the CON program today, Rob has a unique understanding of the program requirements and helps clients anticipate and address potential hurdles. Additionally, Rob advises clients regarding clinical research matters, including compliance with federal laws and regulations impacting clinical research programs and negotiation of clinical trial agreements. Represents hospitals, skilled nursing facilities and other healthcare facilities with strategic initiatives, including negotiating the CON process. Reviews and negotiates clinical trial agreements on behalf of hospitals and advises clients regarding the impact of federal laws and regulations on their clinical research programs and initiatives. Assists clients in handling state regulatory inspections and developing plans of correction as necessary. Helps healthcare-related clients in responding to government requests for proposal and negotiating the government procurement process. Assisting a hospital system in securing CON authorization to offer open heart surgery and defending the CON approval throughout the appeals process despite the opposition of three large competing hospital systems. Helping a client develop and obtain approval to establish a unique skilled nursing and intermediate care facility designed to meet the needs of special populations while benefiting taxpayers despite opposition of competing healthcare facilities. Assisting a large hospital system in obtaining a CON to establish Gamma Knife services despite the opposition of three competing hospital systems.